My recent post about Leonard Cohen vacationing in Greece under the fascist Colonels in the years 1967 to 1974 attracted a large readership. So it is worth recalling that Cohen was not the only musician to visit Greece under military rule. 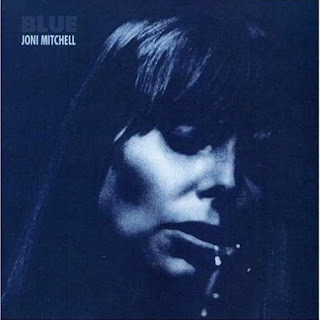 In 1970 Joni Mitchell took a career break and spent time in Greece, Spain (which was still under Franco) and France. Many of the songs on her, arguably, greatest album Blue were written on this trip. The lyrics of the track Carey contain specific references, including the one used in my headline, to the Cretan seaside village of Matala where Joni lived in an alternative community in caves in the summer of 1970. The Greek military regime was notoriously intolerant of alternative lifestyles; but the settlement on Crete's inaccessible southern coast semed to be a case of 'out of sight, out of mind'. By coincidence I visited Matala a few years later in 1975. It was my first visit to Greece, and the country had just returned to being a democracy. It all changed because they were demanding jazz and rock and roll.